Management refers to the organizing of the activities pertaining to a business that can help in achieving the defined objectives for an organization. Operations management is indicative of administration of the business practices that can create efficiency in an organization. Elite Education Institute provides high quality education in the field of business studies. Elite Education provides the students with comprehensive knowledge that can help in them in their professional life (Ee.edu.au 2018). This report throws light regarding how the system, teaching, staff management and workplace business communication can be improved that can help the institute in achieving its aims. Elite Education Institute can be governed with the help of an Institute Council that can help in the governing of the Institute. The Council can take decisions in relation to policies along with planning that can help in developing the legislation of the Institute. They can play an important part in approving the policy document that can help in improving the administrative system of the Institute (Sykes 2015). The council should be advised by the Committees that can help in ensuring that the acts of the Institute are based on compliance requirement that has been outlined to the Education Providers. The professors of Elite Education Institute should have more than 25 years of experience in relation to the sector of higher education. The teaching should be carried out by people having PhD from the reputed universities that can greatly help in improving quality of education of the Elite Education Institute. The teachers of the Institute should have won several award in relation to Teaching and the Learning Innovation that can be of great help for serving the students of Elite Education Institute (Longhurst et al. 2015). The ones who are appointed as teachers of Elite Education Insitute should be authors of books that can help in demonstrating their immense knowledge in the field of business discipline. Pastoral Care refers to the support services that can help in improving the emotional and the spiritual well-being in relation to the students. The students should be supervised with the help of Counselling Service that can advise the students in relation to different aspects of the student life (Masa’deh et al. 2017). The students can be provided with a Student Counsellor along with a Student Service Manager who can provide active support to the students of Elite Education Institute. They can help in supporting the concerns of the students. There should be student welfare staff who can handle the cultural problems of the students that can interfere with their studies. Elite Education Institute should develop the interpersonal skills of the managerial staff that can greatly help in removing confusion in the Institute. Mixed Communication should be practiced in the Elite Education Institute that is on the basis of principle of the vertical openness. The communication should allow for diagonal exchange in relation to the ideas. The messages of the students should be received by the upper management with the help of openness pertaining to dialogue. Elite Education Institute should adopt a high-context culture that lays stress on the aspect of personal bonds along with informal agreement over that of legal documents (García-Peñalvo, Blanco and Sein-Echaluce 2015). The adoption of the high context culture will help the professors in looking at body language of the students that can help them in understanding the mentality of the students. The high context culture can help in sharing information across the various cultures present in Elite Education Institute (Khalique, Parimoo and Hasan 2018). Strategic Human Resource Management should be implemented in the Elite Education Institute that can help the institution in adjusting to the needs of the changing times. The available human resources should be balanced with the institutional goals of Elite Education Institute that can help it in achieving its objectives (Dennison and Shenton 2018). Innovations should be brought about in respect to management and the managerial skills should be practiced that can help in operating durable changes within the Institute. There should be tolerance pertaining to diversity that can help in managing conflict at Elite Education Institute. 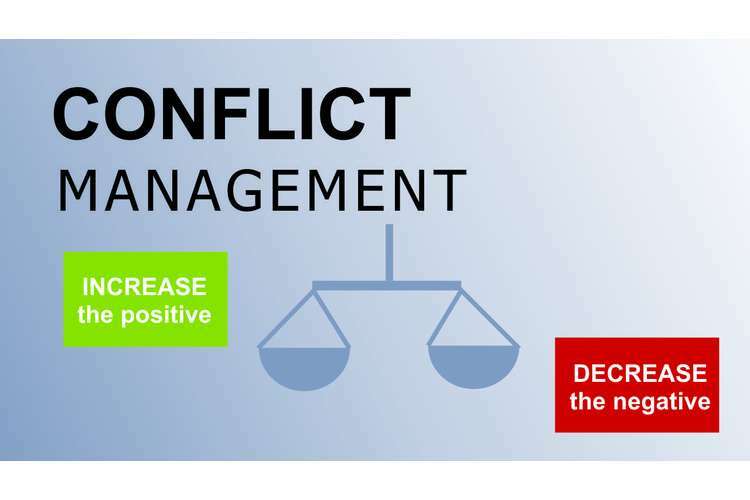 The educational setting should lay emphasis on the aspect of diverse ideas along with academic conflict that can help in the aspect of conflict management at Elite Education Institute (Best and Kahn 2016). The Institute Council along with the Academic Board should come together for resolving the conflict in the Institute. The management should play an active role in resolving the conflicts and they should bring about changes in the Institute that are giving rise to conflict within the Elite Education Institute (Miller 2016). The importance of these recommendations lie in the fact that they can help in improving the management along with operational process in relation to Elite Education Institute. These recommendations can prove to be great service for improving the quality of the education delivered at the Elite Education Institute that can help in positioning it among the best business study institute in the world (Eriksson et al. 2015). The operational process can be made more transparent with the help of the changes at the Elite Education Institute that can help in the smooth running of the Institute. The changes brought about in Elite Education Institute can improve the quality of the education delivered that can prove to be of great service for the Institute. Elite Education Institute should be governed by taking recourse to Institute Council that can act as a great help in governing the educational institute. The teachers should have PhD degrees from renowned universities that can bring about improvements pertaining to the quality of the education. Counselling Service should provide active help pertaining to advising the students in various aspects. The human resources of the Institute can be balanced with the goals pertaining to Elite Education Institute that can help it in achieving the goals. Management should come forward to solve the conflicts and changes should be brought about by them in the specific areas that are causing hindrance in the functioning of Elite Education Institute. 1. Best, J.W. and Kahn, J.V., 2016. Research in education. Pearson Education India. 2. Dennison, W.F. and Shenton, K., 2018. Challenges in educational management: Principles into practice. Routledge. 3. Ee.edu.au (2018). Elite Education Institute | Cognitio, Sapientiam & Veritas. [online] Ee.edu.au. Available at: https://www.ee.edu.au/ [Accessed 25 Sep. 2018]. 4. Eriksson, K., Johanson, J., Majkgård, A. and Sharma, D.D., 2015. Experiential knowledge and cost in the internationalization process. In Knowledge, Networks and Power (pp. 41-63). Palgrave Macmillan, London. 5. García-Peñalvo, F.J., Blanco, Á.F. and Sein-Echaluce, M.L., 2015, October. Educational innovation management: a case study at the university of salamanca. In Proceedings of the 3rd International Conference on Technological Ecosystems for Enhancing Multiculturality (pp. 151-158). ACM. 6. Khalique, F., Parimoo, D. and Hasan, F.Q., 2018. Impact of High context/Low context Culture on Corporate Communication in MNCs. 7. Longhurst, J.W., Gough, G.K., Grant, M. and Hills, S., 2015. Developing a holistic approach to implementing education for sustainable development across a higher educational institute: a longitudinal study of the University of the West of England, Bristol. In Integrating Sustainability Thinking in Science and Engineering Curricula (pp. 527-541). Springer, Cham. 8. Masa’deh, R.E., Shannak, R., Maqableh, M. and Tarhini, A., 2017. The impact of knowledge management on job performance in higher education: The case of the University of Jordan. Journal of Enterprise Information Management, 30(2), pp.244-262. 9. Miller, B.A., 2016. Assessing organizational performance in higher education. John Wiley & Sons.